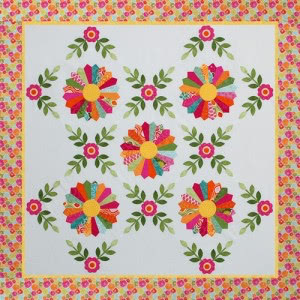 I hope you’ve been enjoying the new Learning Center section here at the Quilting Gallery hosted by Pat Sloan. After our first month of the Studio Organization series, Pat and I did an evaluation of the month in terms of content quality, amount of time we are spending to create the posts and feedback from readers. What we’ve decided is that doing two posts each week is requiring more time than we anticipated and that we have available. We both have other commitments and businesses that we need to run too. Plus, two posts was proving to be too much content for our readers too. So, we had two choices: cut back on the length and quality of posts or scale back to one post a week and continue to maintain the high quality we both want. We definitely don’t want to sacrifice quality, so we’ve decided to do one post a week. New Learning Center posts will be published each Thursday. Pat’s post on Fabric Types and Styles will be available on Thursday … it’s a huge post with tonnes of information and the Fat Quarter Shop have donated a Moda fat quarter bundle too. Stay tuned! As always, if you have any questions, don’t hesitate to contact me or Pat. P.S. Did you enter last week’s give-away? The good folks at Sullivans are giving away two 6.5″x24.5″ The Cutting Edge rulers. Also, I’m giving away five copies of this gorgeous pattern created by Erin Russek. We understand that you are both busy ladies. Thank you for all the great information you provide and I look forward to more fabulous articles from the learning center. Quality is always better than quantity! One post a week will help me out. I’ll have more time to read the post that way. Life is busy, but, I don’t want to miss out. Thanks for the great posts you’ve done. Thank you so much for scaling back to once a week. I love the posts, but you’re right, there’s just so much awesome information, it’s a lot to digest in one week! Thank you for all the good stuff you’ve given us. For me it is so perfect with once a week, because as it was, it became too much for me. And then again it’s a foreign language to me, and I have to struggle through. But good for my English skills, though. I love the post on ATC’s, and I have to try one soon. I’m glad you will continue to have a post a week as it is so interesting! I already bought Erin’s wonderful pattern to help out so don’t enter me in the contest. I usually get your updates by email and there is no longer a link to click on to come to your site, did you know that? I understand and have no problem with your solution. Thanks so much to both of you for providing all of the quilting info. that you do.